And, we’re live again! Many thanks for your patience. Don’t forget, you may need to delete the original file, unsubscribe, and resubscribe to the podcast again in order to get the new file. If you use iTunes, you will almost certainly need to do this. Again, I’m terribly sorry for the inconvenience. Thanks to my guests this week, Marie Sauvangnac, and Mags Kandis; Seattle writer Joy Giovanini, and Heather Ordover of Craftlit for reading Joy’s essay; and to Sage Tyrtle from QN, who agreed to be the dictionary at the very last minute. Knit more… with Jasmin and Gigi, The Knitmore Girls! Spin more… yarn, from something other than fiber. Wait. Does paper count as fiber? Listen more… to The French language podcast, Pastagaleine. Drop more… stuff in The Cast On Drop! Halloween comes early to Casa del Cast On. Fortunately, it doesn’t stay long. Additional music by Dave Stewart and His 30-Piece Rock Fabulous Orchestra. I’m getting an immediate failure when I try to download this episode. (It is now 2:44 pm PDT, several hours after the podcast was posted). Yes, me too. Both in itunes and download button here (error 404). I’m not sure what the problem is. The feed is valid and there have been nearly a thousand downloads since the podcast was uploaded. But, there is definitely a glitch somewhere as I can’t download either. I think the problem is with the hosting service. I’ve emailed tech support at libsyn. Will keep you posted. UPDATE: The problem is definitely with Libsyn. Seems to be a bit of a web traffic jam round Dallas this evening. Downloads are slow but still happening – I’m able to download the file via ftp, and we’re up to twelve hundred downloads for this podcast, so the media file is there, and working for some. (Maybe those in the carpool lane?) Libsyn are aware of the problem, and working to resolve it. Keep trying. I was able to download the podcast but it won’t play on any device I have. There is probably an error in the code. Perhaps reloading the podcast to the host will fix the problem. The problem is around Dallas, Texas? Think about it. Hurricane Ike is as big as the state of Texas and has been moving ashore since at least this afternoon. UPDATE: Still no joy from libsyn, I’m still getting 404 errors, but stats show consistent downloads since the file was uploaded. Over 4000 the last time i checked. I’m sorry to say the situation looks much as it did 12 hours ago. All of the previous episodes are available, it’s only this latest that’s experiencing problems. I’m still waiting for answers form libsyn but, frankly, if the problem is on their end, I’d rather have them working to fix it, than answering support email. I’m really sorry about the troubles some of you are having. I worked hard on this podcast, and I want you all to have it! Fingers crossed this will be sorted today. Hi, the download-problem is also happening here, in Belgium, Europe. No hurrycane overhere (only a bit of rain). So I guess it’s is just random. I keep trying, as I always love to listen to your podcast, Brenda! Yep, I’m in the UK and it’s happening – but I will try and be patient and keep trying 🙂 THanks Brenda for a great show. I could not download using itunes or from the website. UPDATE: Libsyn have responded to my support request. We’re working to figure it out. Thanks for your patience! I’m not able to get it either. I’ll try again later. Thanks, Brenda! I can’t download now, but that’s probably a good thing, considering the massive amounts of homework I have right now. Anyone want to write a paper on Horace Mann for me?? In any event, looking forward to the podcast whenever Libsyn gets things straightened out! Oh my GOD BRENDA, DON’T YOU KNOW THEY CAN CRAWL OUT OF THE VACUUM?! That the vacuum doesn’t necessarily KILL THEM? You put the heart across me, now I won’t be able to sleep for imagining you and Tonia in peaceful slumber, and the massive prehistoric spider creeping….or, okay, striding, out of the nozzle and taking his diabolical revenge. I live on Vancouver Island, I know of what I speak. Please change the bag…….please. For me. Change it. Congratulations Brenda on ONE MILLION!!!!! I’m so glad you worked out how to support yourself while continuing to podcast. Your podcasts are a terrific boost for me each time you broadcast. You inspire me to try, experiment, and seek out what is right for me. why did you get rid of the spider? you could have got it to wind your yarn for you! Loved the ‘cast, glad you’ve got your mojo back, even if it did take writing in code to get it! Great podcast (again)– but I’m here with an advertising question. The file starts out with a “This podcast is brought to you by Saturn” voiceover, and there is a Saturn ad in the middle of the podcast as well. I thought it was odd at first because A)It didn’t seem to fit the Cast-On ethos and B)Saturn wasn’t mentioned by the lovely hostess when she listed her sponsors. Then, when the second ad actually cut you off in mid-sentence, I was really confused. What’s up? Did anyone else get this? I’m guessing that the ad was thrown in there somehow by Lybsin or something… from the sounds of it I am betting that Brenda didn’t even know it was going to be put in or she could have talked _around_ it. Maybe the aggregators aren’t really “free” anymore? I don’t know. Just a hunch. Thanks for doing and fixing and reposting and doing and doing for us. I haven’t listened yet (I’ve got to wait until I’m at home) but I’m so happy you worked things out! Thank you for yet another delightful podcast! You make my world so much brighter! ps – In my house, the cats “take care” of any spider and mouse (or other creepy crawly) intruder. The ultimate border guardians. Have you room for another four feet in the house??? Thanks for another great podcast, Brenda. Just wanted to say that I also was surprised by the Saturn ad at the beginning and in the middle of the podcast, and that then it was cut off before the end (sometime in the middle of the disquisition about knitting as a philosophy) so I didn’t hear the end of that essay or the last song(s). Not complaining, just wanted to make sure you knew about the problems. congratulations on the one millionth download. i’ve never commented before…lovely podcast. thanks for introducing me to some smashing music, the cheerleader song, have a good day, and many others. found myself excited when you described knitting a pattern i had knit…i am not alone. what’s up with the saturn ad? that seemed so out of context? Thanks for the wonderful podcast! You (almost) always make me laugh…. and I need that! Thanks for taking the time to share with us! Hi Brenda – another great podcast! Re: the Saturn ad, I did not mind the ad at the beginning of the podcast, but I found the one in the middle to be irritating. First, it cut you off mid-sentence, and second, it was much longer than the first ad. If you have to have an ad in the middle of the show, rather than just at the beginning or end, I’d rather the shorter ad go in the middle. Hi There Brenda! I just wanted to tell you I have recently re-discovered your podcast, to my great pleasure. I started listening in 2006, but couldn’t seem to find the time to sit at my computer and listen. But, I finally bought my first iPod (am I the last person on the planet to get one?) and discovered I can listen to you in the car and at work. How wonderful it was to sit down to a tedious spreadsheet and hear your voice say, “How’s your knitting?” Ahh, you made the day so much more pleasant. I am working my way through the older casts first and have enjoyed every bit of them. So THANK YOU! PS. Also thank you for sharing JP Hoe with us!! I loved him from the first few lyrics and ran home to buy all his albums. It’s such a relief to finally hear new and different music than what is usually found on the radio. You don’t know me, but I start to feel that I really know you. I’ve cried with you when you lost your friend and I laughed about youre spider story (that so reminds me of my sister). I’m a mother of a todler boy and a new born girl and live in Amsterdam, the Netherlands. And my favorite moment is listening to your podcast and knitting whilst my darling kids are a sleep. It gives me energy to get through the rest of the busy day. So keep on going, I love it! Thank you for another thought-provoking and entertaining podcast. I wanted to respond to your musing on why you find knitting and writing code so similarly soothing – my boyfriend is a software engineer and I knit, and in those activites we have a common interest in handcrafting unique, tailored items that you have to speak a language to create. Not so different really. I’m not a brain researcher, but I studied the brain a lot when getting my undergrad degree. Given the complex nature of knitting, I’d hazard a guess that it involves multiple regions of the brain rather than a single spot. It has been shown to be one of the activities that helps stave off dementia by keeping neurons active. I’d be curious to hear if you find out more on this topic. I’m not a brain researcher either, but I have heard that when you are knitting your brain is in Beta waves, this is the same state you are in when running and right before you fall asleep, usually when you are doing repetative movements. this is thought to be the most creative brain wave to be in, like when runners get in the “zone”, and when you get relaxed when knitting and just let your fingers move. This is also thought to be a time when you can come up with solutions to problems, and I have also heard it can help prevent Alzheimer’s, I actually talked about it in my podcast too. and I had a friend who told me that many insomniacs achieve “great things” in their life, probably because they are never fully asleep. 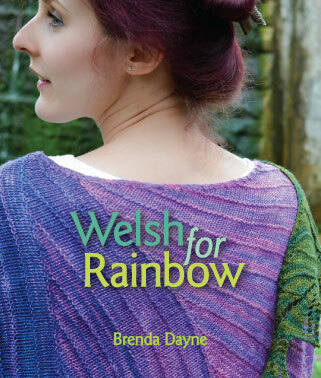 I myself am a knitter, runner and an insomniac…. I love your podcast. LOVE it. You’ve made me laugh and cry and it has been a wonderful and wild ride. I wish there was a way you could earn a living doing this without having to resort to advertising, for more reasons than one. What I didn’t like about this Saturn ad is its jarring placement, mid-sentence! If you could integrate such advertising more seamlessly, I would have no negative thoughts about it. But I’d rather have ads like this than not have more episodes of Cast On! I thought the Saturn ad was a joke and kept waiting for the punchline. If it keeps you podcasting than so be it, punchline or not. I’m late listening to your podcast, but that’s nothing new. I’m so behind on everything… LOL Toward the end of this one you talked about your placement on Apple’s site, how they added a “hobbies and games” category. I’ve always found it more appropriate when the category is “hobbies and crafts.” I looked up “craft” at dictionary.com, and found a couple bits that describe how I feel about this pastime we share, and thought I’d share them with you here. 1. Noun. An art, trade, or occupation requiring special skill, esp. manual skill. 9. Verb. To make or manufacture (an object, objects, product, etc.) with skill and careful attention to detail. Brenda, I thoroughly share your fear of spiders. Throughout my life in the Southern U.S., I have had many horrific encounters with various representatives of the arachnid clan. These encounters invariably end with shrieking and running on my part. On the whole, the spiders were unfazed. The many, many cats I have kept have done nothing to protect me from these fearsome eight-legged creatures. I have tried using swatters, vacuums, bowls, rugs, shoes, and various other devices to vanquish them, all to no avail. A couple of years ago, I bought a house in Colorado. I had often heard “There are no bugs in Colorado.” This encouraged me, since I reasoned that where there are no bugs for spiders to eat, there will naturally be no spiders. I very disappointed to be told by the home inspector we hired during the purchase process that he had seen a black widow spider at the back door, and even more disappointed to learn later that our utility room was infested with these poisonous demons. Since then, I have discovered that I fortunately have one foolproof weapon against spiders. I have a trained man. It took a while to train him, but after several shreiking episodes, he has learned well and quickly dispatches all spiders with just a paper towel. Of course, I have to reinforce the training with occasional rewards, but, believe me, it is worth it. I know, Brenda, that you probably aren’t interested in going through the trouble of keeping a trained man around just to dispatch spiders. Even though you don’t have one around the house all the time, I believe you have raised a couple. I hope you trained them well. Spider dispatching can add a lot to a man’s appeal. In my family, the tradition has carried on into the second generation, which has improved it by training their man to respond immediately to the shouted command, “Bug!” I’m envious. I still have to say “please” and “thank you” to get mine to perform. Hi Brenda! I loved this podcast! Its too bad you can’t do both at once! 🙂 Or at least I can’t! 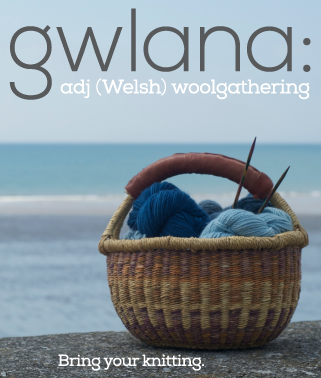 The best comprimise I find is listening to knitting podcasts while designing websites. And the spider thing really freaks me out. I have been sucking them up with my vacuum for years and I had no idea they could crawl back out!!! ACK! Thank goodness the spiders are mostly smallish here in Canada. Feel free to email me if you run into something you need to work your way through web-wise… perhaps a Knitgeek like me might be nicer than one of the geek purists. LOL. I just wanted to say thank you to Joy for writing her piece. I could really relate to what she was sharing. Her words and thoughts actually made my day, month and year. I wish I could give her a hug, and I’m not necessarily a sentimental, huggy kind of person. Thank you, Joy! I would love to see the knitted wedding dress! I’m a new listener. Loved Joy’s essay. Speaks for me, through me. Thanks. Hey Brenda! Where in Mexico? I can’t believe you took a shower with a tarantula!!! I’m retired in Aguascalientes, and never thought the likes of you would visit “the third world”, let alone live in it! I enjoy your podcast so much, it makes me laugh, it makes me cry, all when I listen to it every sunrise during my walk (I don’t mind listening to re-runs). And just by reading the show notes today it realized it is “casa del Cast ON” and not “casa del Gaston” : – ) Stay healthy and, as Dr String says: Keep that string music commin’.